Tired of the same-old lemonade? Try limeade instead! 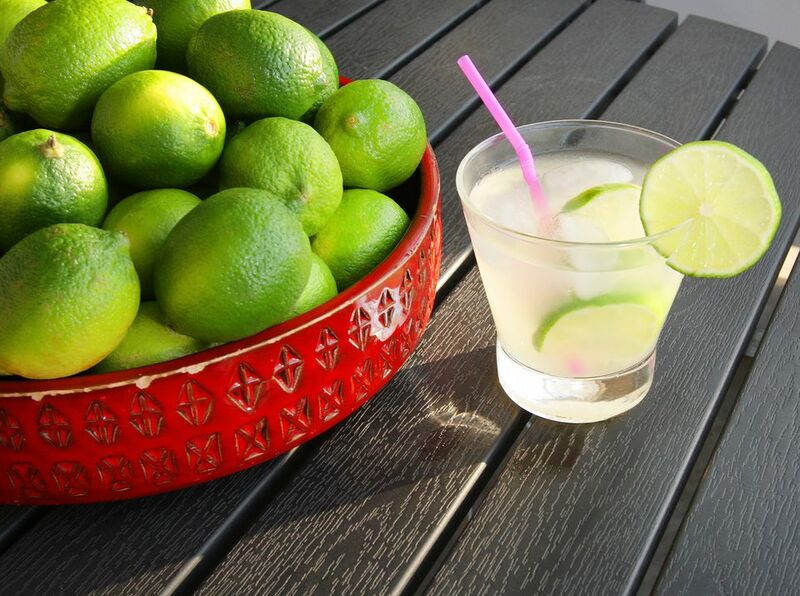 In Southeast Asia, limeade (also known as "lime water") is a popular drink due to the fact that fresh limes are so readily available and the weather is so hot. Limeade is very refreshing and fragrant, and its light green color also makes it a beautiful drink to serve. This recipe uses 5 large limes to 7 1/2 cups water, which makes for quite a flavorful limeade. Feel free to add more water if you find it too strong (adults tend to like it more "limey" than kids). Tip: If anyone claims bottled lime juice is just as good as fresh, or that it makes a good substitution—don't listen! Bottled lime juice is bitter and has an aftertaste. Also, it doesn't have the natural enzymes or flavor of fresh limes, not to mention the lovely scent or the health benefits. Squeeze the limes to make 1 cup of lime juice, either by hand (slicing the limes into wedges and squeezing) or by using a citrus juicer/press. Remove any small seeds you find.